Slimmer, lighter and more portable than ever! 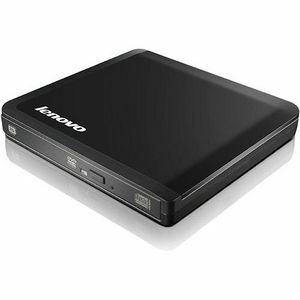 The Lenovo Slim USB Portable DVD Burner is a small form factor external portable DVD and CD recordable drive that can be attached to notebooks with functional USB 2.0 port(s). The drive is powered by one or two available USB 2.0 ports with one USB Y cable, depending on configuration. No power adapter is included or necessary.